Denying Gary Oldman a well deserved Oscar nomination (let alone the award itself) is beyond criminal; however, has the time finally come to right this wrong? 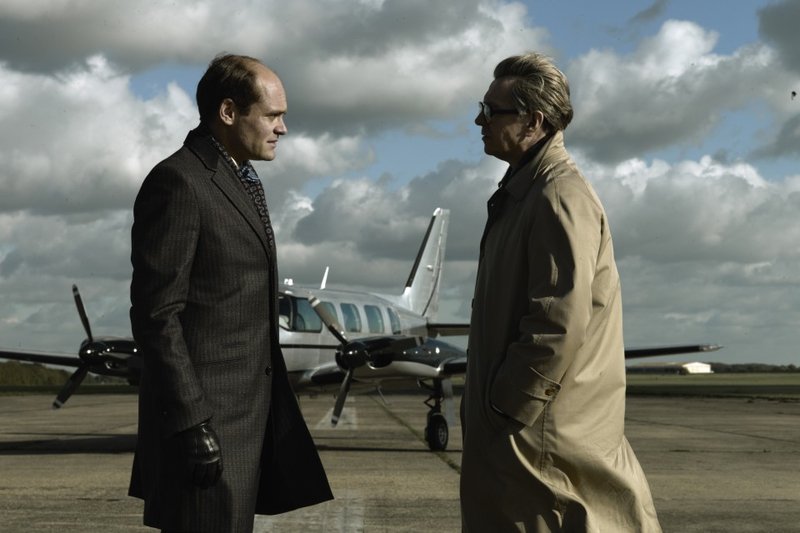 Assembling an all star cast of sterling British talent (including Colin Firth, Tom Hardy, Toby Jones, John Hurt and Oldman himself), this new adaptation of John le Carré's renowned novel Tinker Tailor Soldier Spy is surely a big fat yes. 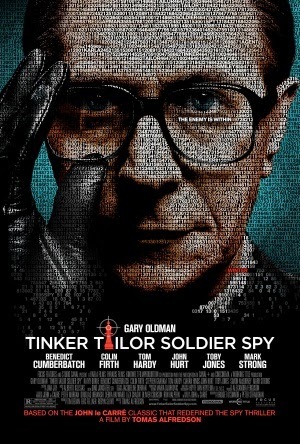 A rather complicated narrative from beginning to end, the film revolves around British intelligence officer George Smiley (Gary Oldman) coming out of semi-retirement to locate a Soviet mole within MI6 (the "circus", as it's colloquially titled). A web of increasing complexity is woven as the story continues; sometimes you may be utterly confused, as it tends to branch out to multiple strands, but if you can understand the entire synopsis (a second watch would benefit for me, as I struggled at times) then you'll surely find it engaging. Those who fall behind, like myself, may end up getting exceedingly bored during the middle segments, which is where my appreciation for the film began to dwindle. Visually stunning, the mise en scene employed throughout casts a true essence of isolation and mystery; the camerawork is smooth and tense, the dreary colour of everything captures the apt mood and the usage of sound is excellent for a tense atmosphere; ambience can often be exaggerated, or completely absent, to fit a sense of urgency or tension respectively. There's no shortage of top notch acting here; every cast member, from Colin Firth to John Hurt to Tom Hardy, performs brilliantly, despite the character development sometimes stalling due to a lack of focus. Gary Oldman performs the lead role in a conservative fashion; the character isn't very memorable (I say this as a positive; that was an intentional character element) or overly portrayed, which works just as good as one might think. When you've got a cast this balanced and wonderful, it's no surprise the acting is one of the best elements to the film. 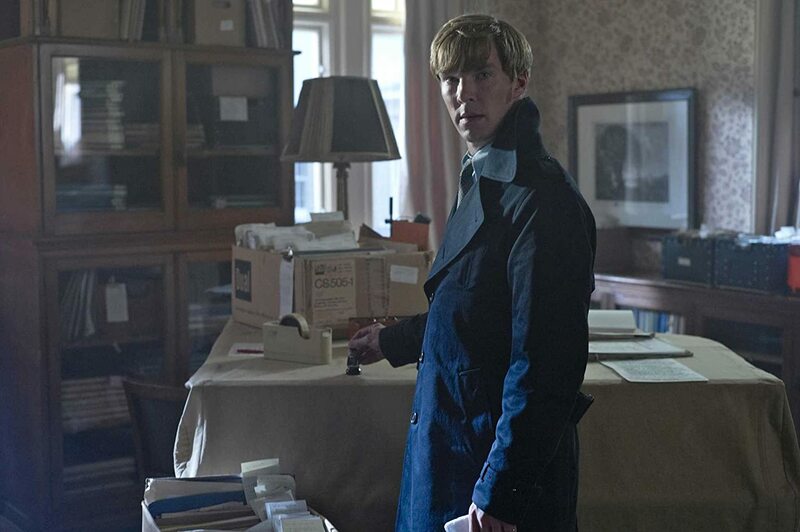 Those looking for an intelligent film will surely find much to lap up here, but those not familiar with the source material may not fully understand the narrative. Though a very well made motion picture, it's just not completely engaging throughout it's two hour run time. If you can look past these flaws, there is much enjoyment to be had, and with fine performances and excellent mise en scene, it's clear a huge amount of effort went into it.